ATLANTA, Ga., Nov. 19 (SEND2PRESS NEWSWIRE) — The Georgia Humanities Council and the Digital Library of Georgia won the Helen and Martin Schwartz Prize for their partnership on the Civil Rights Digital Library (CRDL). This marks the second time the Georgia Humanities Council has won the Schwartz Prize. Their first prize recognized their success with the online New Georgia Encyclopedia. The Federation of State Humanities Councils offers the Helen and Martin Schwartz Prize to recognize outstanding work in the public humanities that is supported or conducted by state humanities councils. The CRDL (civilrightslibrary.org) was selected for its unique contribution to the humanities and for its impact on the region and on the state of Georgia. The CRDL offers a digital video archive of historical news footage, a portal connecting users to civil rights movement content from libraries worldwide, and instructional materials for educators to use in the classroom. The Georgia Humanities Council, via the New Georgia Encyclopedia, developed original articles to supplement the news footage and provide historical context for the movement in Georgia. Georgia Humanities Council president Jamil Zainaldin and New Georgia Encyclopedia managing editor Kelly Caudle accepted the Schwartz Prize on behalf of the Council. Zainaldin and Caudle were accompanied by CRDL co-director Toby Graham, who accepted the award on behalf of the Digital Library of Georgia and his co-director Barbara McCaskill. 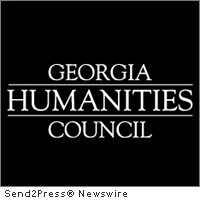 The Georgia Humanities Council (georgiahumanities.org) is a statewide nonprofit organization working to ensure that humanities and culture remain an integral part of the lives of all Georgians. The Council serves the state of Georgia through its grant program and projects, and increases awareness about the history, stories, and ideas that inform our lives, so that we can make better decisions for the future. The New Georgia Encyclopedia (georgiaencyclopedia.org) is a project of the Georgia Humanities Council in partnership with the University of Georgia Press, the University System of Georgia/GALILEO, and the Office of the Governor. This comprehensive and authoritative resource features articles and images on the history, culture, and life of the state. The Digital Library of Georgia is a GALILEO initiative based at the University of Georgia Libraries that collaborates with libraries, archives, museums, and other institutions of education and culture around the state. The Civil Rights Digital Library is hosted at the Digital Library of Georgia and was developed through a collaborative partnership involving the Georgia Humanities Council (through the New Georgia Encyclopedia), the University System of Georgia/GALILEO, the Walter J. Brown Media Archives and Peabody Collection of the University of Georgia Libraries, the Franklin College of Arts and Sciences at the University of Georgia, and Georgia Public Broadcasting. Original Keywords: Digital Library of Georgia, Helen and Martin Schwartz Prize, Civil Rights Digital Library, New Georgia Encyclopedia, Georgia Newswire, Atlanta, education, humanities, library, libraries, learning, civil rights, american history Georgia Humanities Council Atlanta Georgia ATLANTA, Ga.
REFERENCES: Atlanta Business News, Digital Library of Georgia, Helen and Martin Schwartz Prize, Civil Rights Digital Library, New Georgia Encyclopedia, Georgia Newswire, Atlanta, education, humanities, library, libraries, learning, civil rights, american history Georgia Humanities Council Atlanta Georgia ATLANTA, Ga.